It’s no secret we, at FR Press, love a good ghost story. Not only did we publish Haunted: 11 Tales of Ghostly Horror last year, but we also enjoying playing games like Wraith: the Oblivion or watching films like The Others, Sixth Sense, and The Haunting in Connecticut. If you like ghosts as much as we do, then you’ll want to float over to Tor Books today. 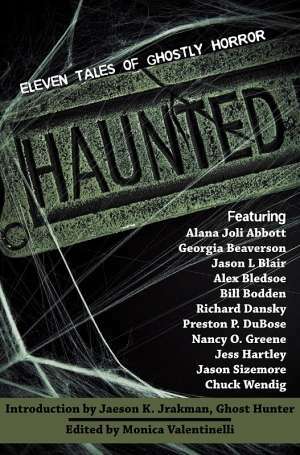 From now through midnight on Halloween, you can enter to win not one, but ten books, ranging from anthologies to novels. 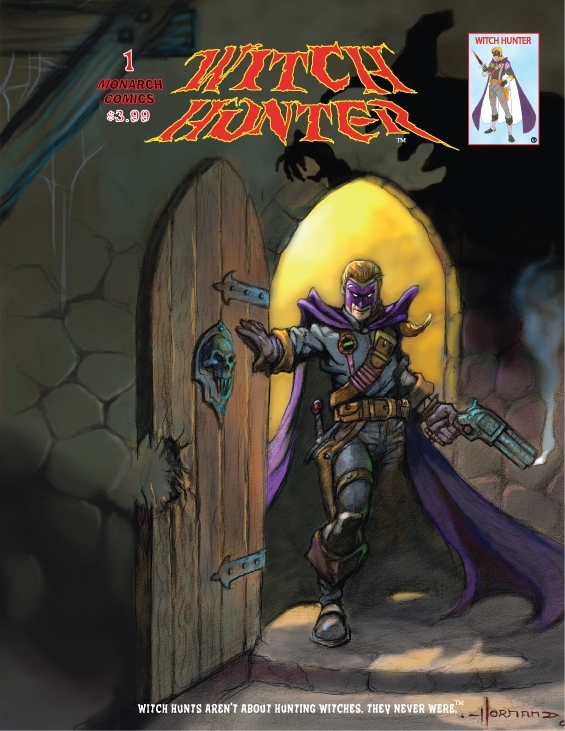 Monarch Comics’ ongoing comic book series, Witch Hunter, is debuting the title’s letters column in Witch Hunter #9 (“The Scarlet Circle Network”), releasing in print format on April 30th (Monarchcomicslair.com and select stores) and shortly thereafter in digital format on DriveThruComics.com To get the magic word out about the column and generate letters for it, Monarch Comics has announced an ongoing letter-writing contest for Witch Hunter. FlamesRising.com is excited to announce that all this week we are featuring exclusive previews, essays, reviews and more from Steve Jackson Games. SJ Games Week begins today and ends on Friday, July 29th, 2011. In addition to its selection of GURPS hobby games, Steve Jackson Games publishes dice, card and board games, too. Titles like Munchkin are heavily inspired by geek culture and often have a comedic tone. In the past, we have offered some coverage by offering a Munchkin Zombies preview, The Stars Are Right review, Munchkin Cthulhu review, Cthulhu Dice review and a Munchkin Bites 2: Pants Macabre review. What do FlamesRising.com readers and me have in common? A love for all things geek, of course! Yesterday, I launched a theme week on my blog at www.mlvwrites.com about all things girly and geeky. This week-long celebration is due, in part, to my new column debuting in July on the Geeks Dream Girl website about freelancing for the hobby games industry. 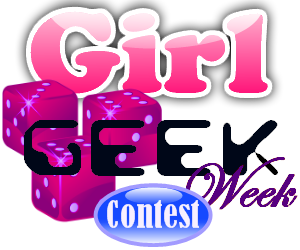 What better way to say “I like being a geek” than to enjoy a fun contest!?! Tell Us About Your Character at RPGNow! 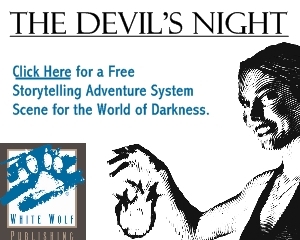 RPGNow is having a huge contest going on now. Special judges include Fred Hicks, Eddy Ebb and John Wick! You could win a ViewSonic gTablet, Gift Certificates to RPGNow and more! Are you afraid of a scary clown? Do bats frighten you? To celebrate the release of Peter Straub’s new book, A DARK MATTER, we’re teaming up with Doubleday for a fun contest! Simply, post your worst nightmare in the comments below for your chance to win a free copy of A DARK MATTER mailed right to your door! In celebration of the upcoming August release of Hunter: The Vigil, White Wolf is bringing back the incredibly popular trailers contest that we ran last year! We know our fans are creative and artistic, so we are looking for people with vision to create the trailers that play on our website and on the internet. Favorite Horror Game Contest Ends Today! Have you entered the Flames Rising Favorite Horror Game Contest? Well, if you’ve been following the recent Flash Fire Mini-Reviews, you’ve just seen a small glimpse of what we have to give away. So far, in Contest Edition and Contest Edition 2 we’ve highlighted new games, like Thousand Suns and supplements like All Tomorrow’s Zombies. With over 12 publishers sponsoring our contest, our prize pool is getting so huge we just had to blog about more of the great prizes that are perfect for any horror fan. Here are just a few of the great prizes available in the Flames Rising Favorite Horror Game Contest.